Cook all your favorite foods with ease using this freestanding gas range featuring a broiler drawer for roasting meats and 4 burners delivering 9,100 BTUs of cooking power to meet all your cooking needs. Controls are easy to operate for simplified cooking. 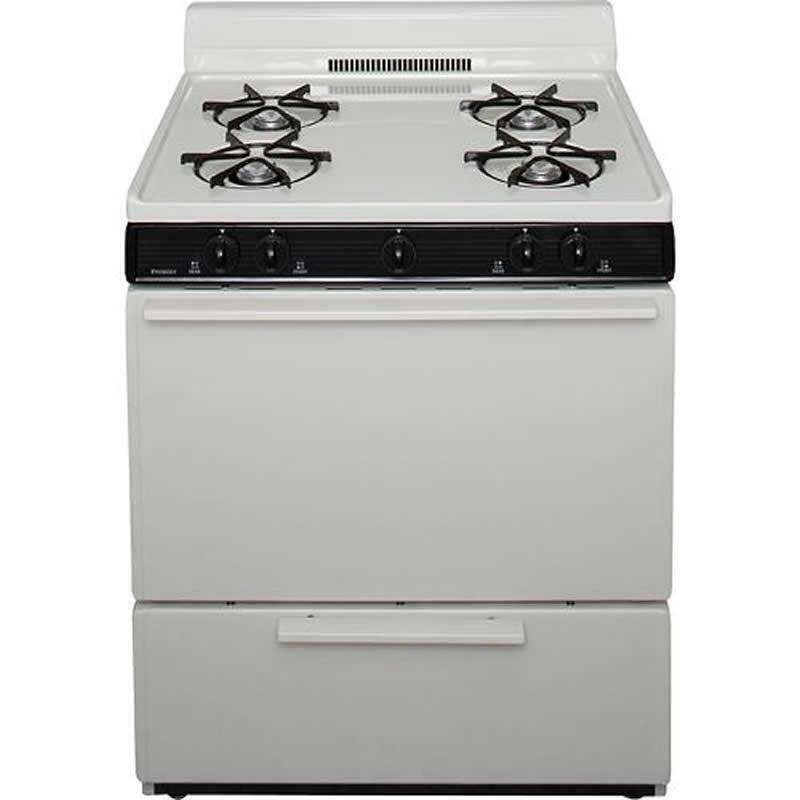 Additional Information Electronic ignition; 4 cooktop burners; Broiler drawer; Porcelain grates. Burners/Elements Output Four of 9,100 BTU.